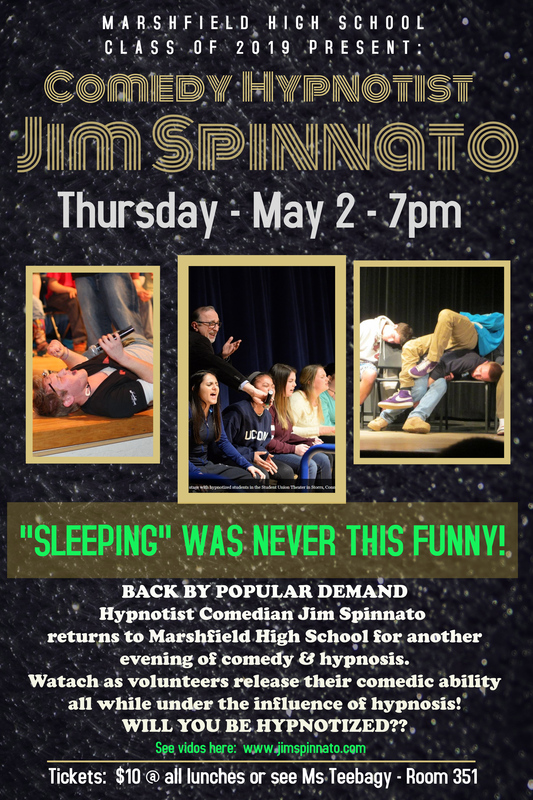 comedy hypnotist – JIM SPINNATO – "Sleeping" was never this funny! "Sleeping" was never this funny! Entertainment for Colleges, Prep Schools, High School fundraisers, Post Grad & Post Prom Parties, Corporate functions, Comedy Clubs, Theaters, etc. etc. The perfect comedy presentation for any event. 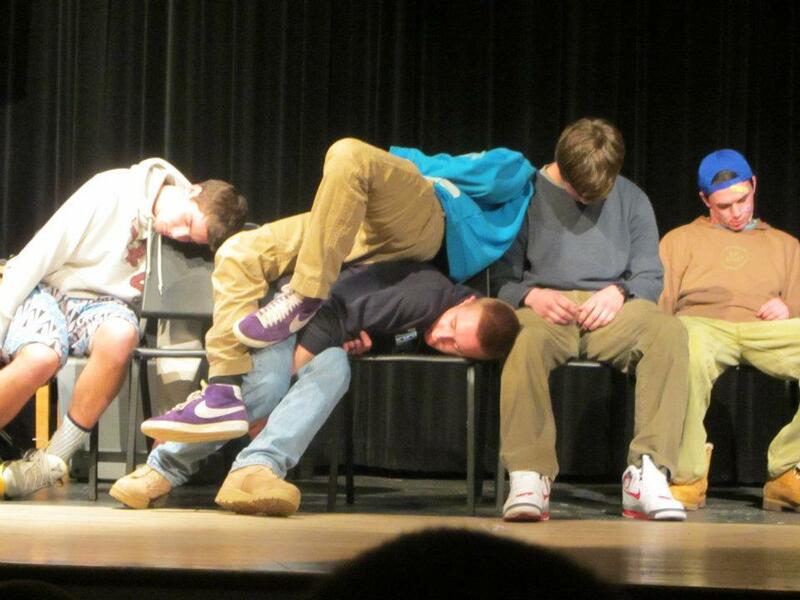 Watch as volunteers from the audience release their comedic abilities all while under the influence of hypnosis! "Sleeping" was never this funny! Check out the video page. LIVE FROM COMIX. 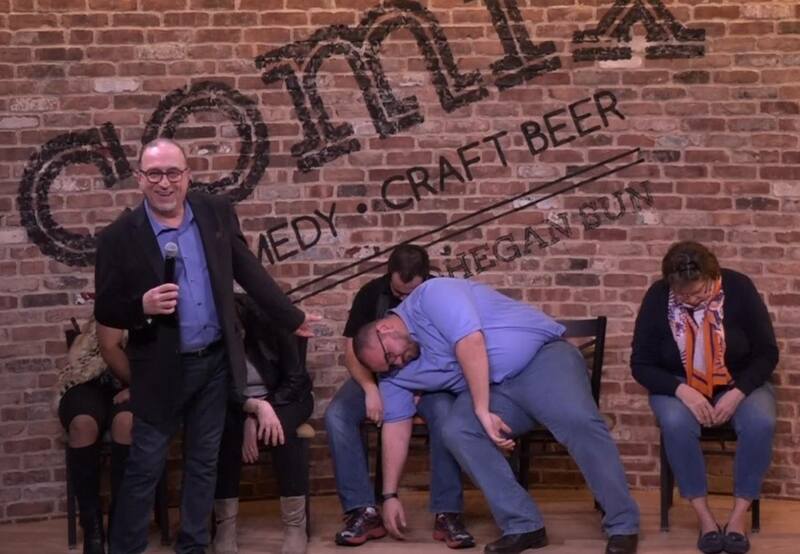 Since 2010 Jim's "Hypnotic Hysteria" show has been, and continues to be featured monthly at The Mohegan Sun Casino's Comix Comedy Club! Click picture below for complete casino schedule. Thur - 7pm - May 2 - Marshfield HS - Marshfield MA. 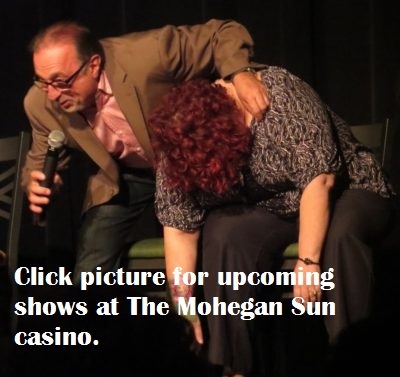 Direct from Comix Comedy Club, The Mohegan Sun Casino, Foxwoods Resort & Casino and Six Flags New England!! 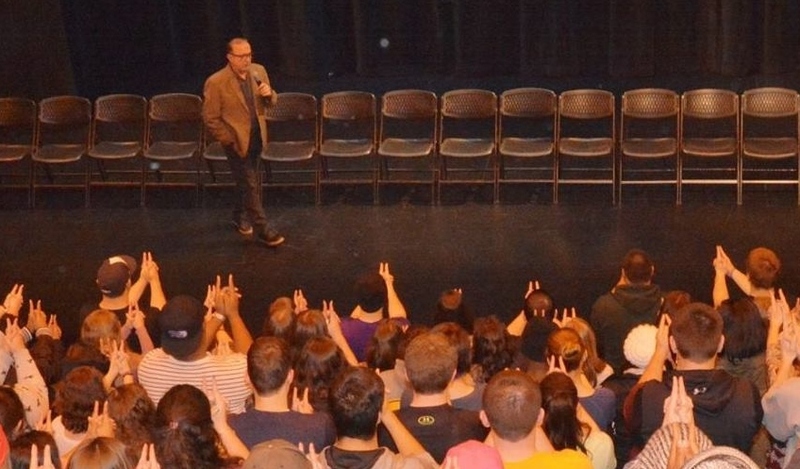 This amazing combination of comedy, hypnosis and audience participation can be seen thru-out Connecticut, Massachusetts and Rhode Island at such venues as UCONN, Strand Theater, Fairfield University, Worcester Academy, Woodstock Fair, Kathleen Hepburn Theater, Garde Arts Center, University of New Haven, Brown University, Dean College, University of Hartford, University of Rhode Island, Central CT State University, Hotchkiss School, Westminister School, Pomfret School and many others including hundreds of New England high schools.